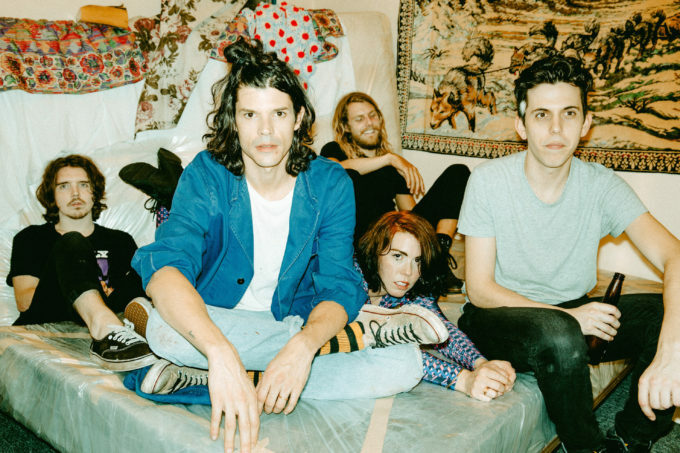 You may remember US indie outfit Grouplove from their 2011 top 40 breakthrough hit ‘Tongue Tied’, or perhaps from their 2014 slot at Splendour In The Grass in Byron Bay. Well there’s seemingly plenty more where that came from, with the band confirming the upcoming release of a new single, a new album and (in support of them both) two live shows down under in the middle of August with Lisa Mitchell filling the support shoes. The band’s third long player is entitled ‘Big Mess’ and it comes three years after their sophomore project ‘Spreading Rumours’. Naturally, they’re champing at the bit to get it out there. Lead single ‘Welcome To Your Life’ will provide a tantalising glimpse into the world of the LP when it drops on Friday July 15, as will THIS trailer, which features four tracks from the new LP. ‘Big Mess’ is due on September 09. Back to those shows though… Oxford Art Factory in Sydney and Corner Hotel in Melbourne. Pre-sale tickets are go from 10am tomorrow, while general public tickets hit the sales desk from 9am on Friday.